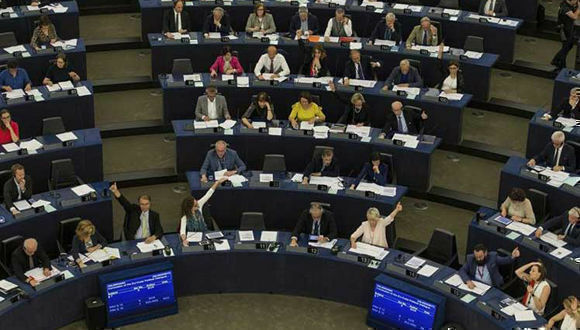 European Parliament approves provisional implementation of EU-Cuba agreement. Posted by cubainsidetheworld in CUBA, European Parliament, Relations Politics, relations. On July 5, the European Parliament endorsed a legislative resolution for the provisional implementation of the Political Dialogue and Cooperation Agreement between the European Union (EU) and Cuba, signed on December 12, 2016; which aims to promote the development of diplomatic and economic relations between the bloc and Caribbean nation. The agrement was approved by parliamentarians with 567 votes in favor, 61 against, and 31 abstentions, which according to analysts, shows broad support within the EU for rapprochement between the island and the bloc, which has also expressed its opposition to the current United States Cuba policy following changes announced in mid-June by President Donald Trump. Speaking to the press, researcher Anna Ayuso, from the Barcelona-based International Information and Documentation Center, noted that with the signing of the agreement, Europe – unlike the U.S. – is taking advantage of the opportunity to develop economic relations with Cuba. The new pact puts an end to the so-called “Common Position” adopted by the bloc in 1996, and rejected by Havana due to its unilateral, interventionist, selective, and discriminatory character.